At WestCMR we are excited to celebrate 20 years of providing surgical supply solutions in honor of our mission #westcmrgivesback. As the one shining light for children who are fighting cancer, for the last 26 years our friends at The National Pediatric Cancer Foundation (NPCF) have partnered with 24 hospitals to fund research to fast-track less toxic, more targeted treatments. In March, we were honored to offer support by shaving our heads with Cut for a Cure, a fun campaign founded for participants to interact by cutting their hair to raise funds for pediatric cancer research! Children who suffer hair loss through chemotherapy receive caring support from empathetic participants who have no shame in shaving their heads to look like them. Some shave their beards, others buzz their hair, some even go bald to donate to children with hair loss…and our caring staff conquered all of the above! For the third year in a row, our fearless leader and CEO, Randy Ware, and 16 enthusiastic WestCMR employees volunteered to shave their heads for Cut for a Cure. You can catch the experience on this video including hearing firsthand why each WestCMR employee is cutting for the cure!! 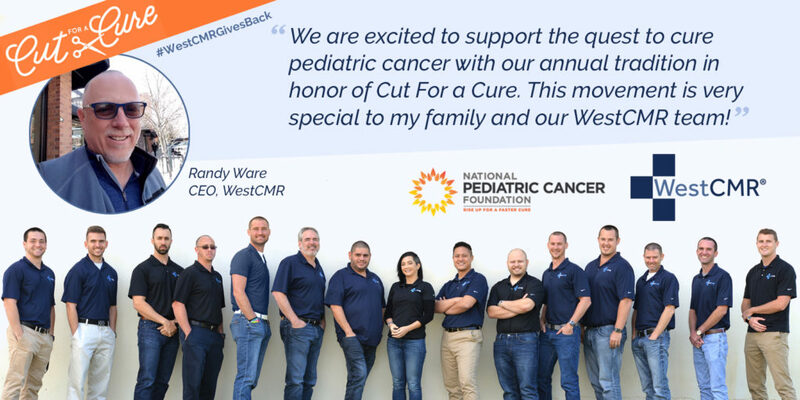 Here’s what a few of our employees had to say about why they participated in WestCMR’s 2018 Cut for a Cure fund raising campaign. NPCF has donated millions of dollars to the cause and their clinical trials yield amazing discoveries that save children’s lives. This month the funds we raised from Cut for a Cure and March Madness will be donated directly to The National Pediatric Cancer Foundation! 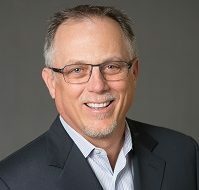 Since the beginning, Randy Ware has built the business with a passion for giving back to those less fortunate. Expect to see WestCMR employees cutting for the cure again in 2019!